Back in March we had the great pleasure of meeting Aimee from the blog Swell Mayde. She just launched her own jewelry line and we are loving it! Each piece is handmade and includes delicate necklaces and bracelets and did we mention it's affordable too (music to our ears). 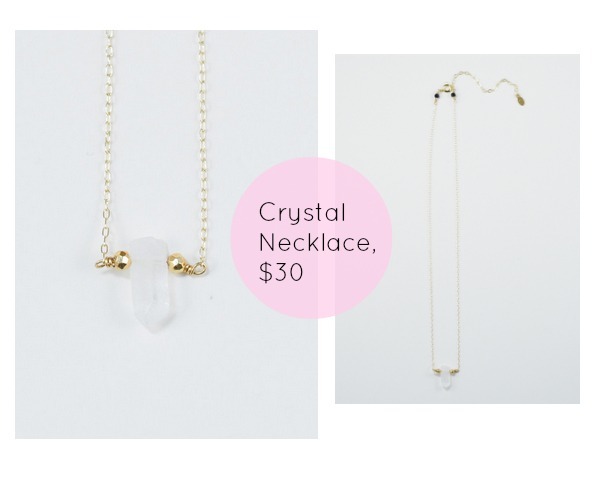 How cute is this crystal necklace for only $30. Really cute! A great piece for layering or adding just a touch of femininity.